The ARCOTEL Nike Linz as a conference venue has 9 meeting rooms to a total of 505m² for 180 people in the largest room. 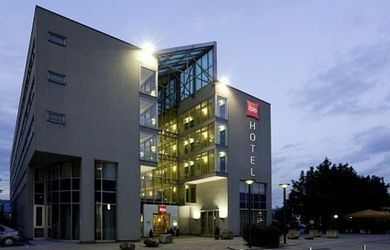 The conference hotel has 174 rooms and is located in Linz / Upper Austria. 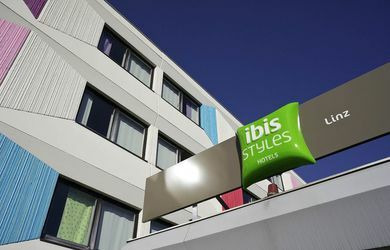 The ibis Styles Linz, as a conference hotel, offers 6 conference rooms, altogether 354qm, for 250 people in the largest room. 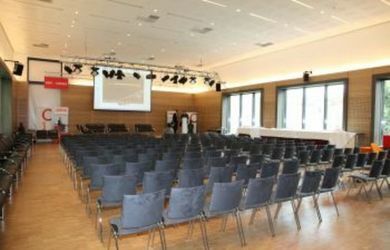 The conference venue has 115 rooms and is situated near the city center Linz. 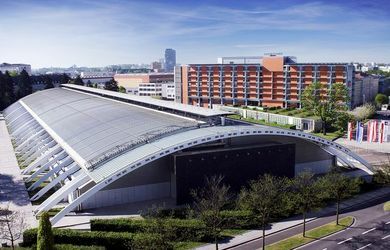 The ibis Linz City, as a conference venue, has 6 conference rooms, altogether 212m ², for 120 people in the largest room. The conference hotel has 146 rooms and is situated in the center of Linz / Upper Austria. 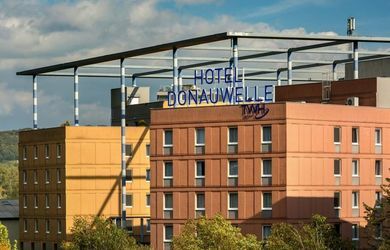 The Hotel Donauwelle has 6 conference rooms on a total of 333m² for 120 people in the largest room. The conference hotel offers 176 rooms and is located in Linz / Upper Austria. 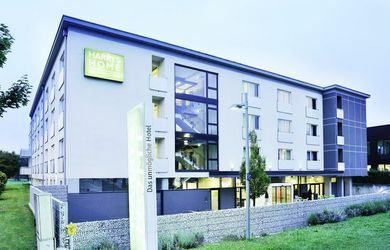 The Harry's Home Hotel Linz, as a conference hotel, offers 2 conference rooms, altogether 52qm, for 35 people in the largest room. The conference venue has 81 rooms and is situated in Linz-Dornach. 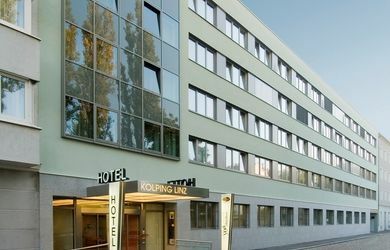 Hotel Kolping as a conference venue has 5 meeting rooms on 400m², 250 people in the largest room. The conference hotel has 52 guest rooms and is centrally located in Linz. The Austria Trend Hotel Schillerpark, as a conference hotel, has 4 conference rooms, altogether 330m ², for 100 people in the largest room. 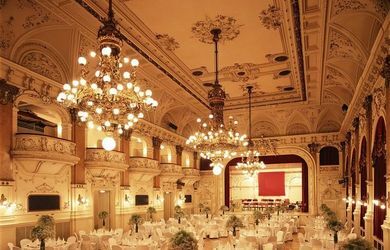 The conference venue has 111 rooms and is situated in Linz / Upper Austria. The event venue Palais Commercial Club Linz (Upper Austria) has 10 meeting rooms totaling 2400m ² / 600 people in the largest room. The event venue is located in Linz / Upper Austria. 6 function rooms for 2150 people / total 4300m² of exhibition space The event venue Design Center Linz offers6 function rooms on a total of 4300m² / 3000 people in the largest room. The event venue is located in Linz/Upper Austria. AVEG Linz Leonding, as an event location, offers 5 conference rooms, altogether 1800qm, for 1500 people in the largest room. 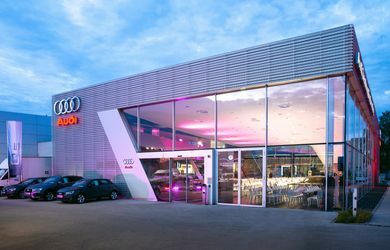 The event location is situated in Linz-Leonding. The Courtyard by Marriott Linz as a conference venue has 9 meeting rooms totaling 614m² for 320 people in the largest room. 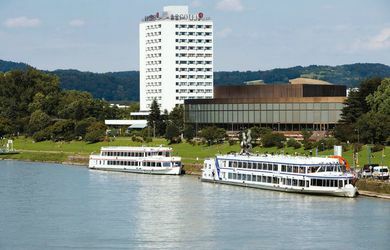 The conference hotel has 236 rooms and is located in Linz/Austria. Kaufmännischer Verein in Linz Veranstaltungszentrum e. U.